Let’s get the expected over. Market conditions are rough, it can be tough to find trades, yada yada, you’ve heard it all before. Now, let’s get to the story. 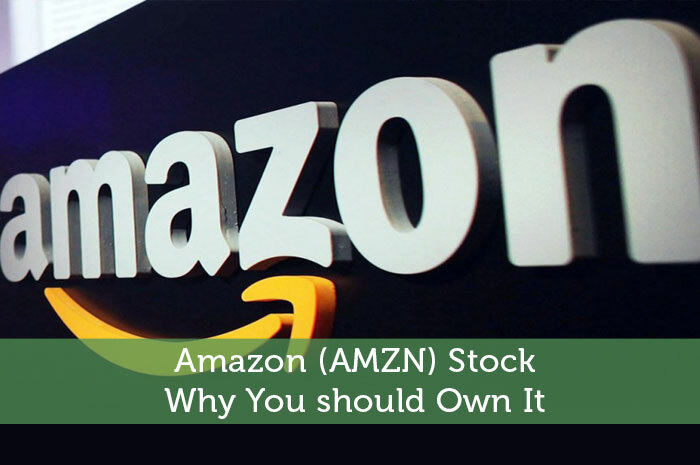 If you’re looking for a strong investment right now, one of the best places that you can look is toward Amazon. There are several reasons that the company is a strong investment at the moment. Today, we’ll talk about the top 3 reasons that AMZN is a great investment. If you look around the market right now, what’s you’re going to see is a lot of fear surrounding the idea of a Brexit. You see, with the UK making the decision to leave the EU, we’re likely to see economic struggles in both regions. Because these regions are two of the top five economies in the world, investors are expecting the economic affect to spread globally. With all of this said, it’s important to look for stocks that have little exposure to the Brexit. Company’s that focus their business locally will have less exposure, therefore, will feel less resistance. The good news is that AMZN is one of these companies. You see, the vast majority of the company’s business is done in the United States. Therefore, the company won’t have to worry about declining sales in Europe or the UK. This issue is non-existent. The second reason that I take such a bullish stance on AMZN is Amazon Web Services, also known as simply AWS. At the first update of the company, we found out that AWS alone was a $5 billion business. Not to mention the fact that the business has been growing exponentially since. In the first quarter, Amazon Web Services grew at a rate of 64% year over year. Also, it’s expected to continue growing at that rate. Not to mention, profit margins are up in a big way. Previously, AMZN was driving in 12.5% in profits from AWS. However, in the first quarter, the company said that its profit margin had climbed to 23.5%. This is incredibly impressive. Finally, the third reason that I see a bullish future for AMZN is the company’s Prime service. The truth is that this service is a cash cow. First and foremost, every Amazon Prime member pays $99 to be part of the club every year. The company has 54 million subscribers paying this amount. That works out to about $5.4 billion per year. So, Amazon Prime is a machine that will keep the money rolling in, even through hard times. However, we haven’t even talked about people spending money. The $5.4 billion per year in revenue is without a single purchase being made. However, it’s estimated that about 40% of Prime members spend at least $800 per year on the retail website. This works out to a minimum revenue of more than $17 billion per year coming from Prime members alone. At the end of the day, Prime will be a major driver in not only keeping the company above water, but keeping it growing. Where do you think AMZN is headed and why? Join the discussion in the comments below!